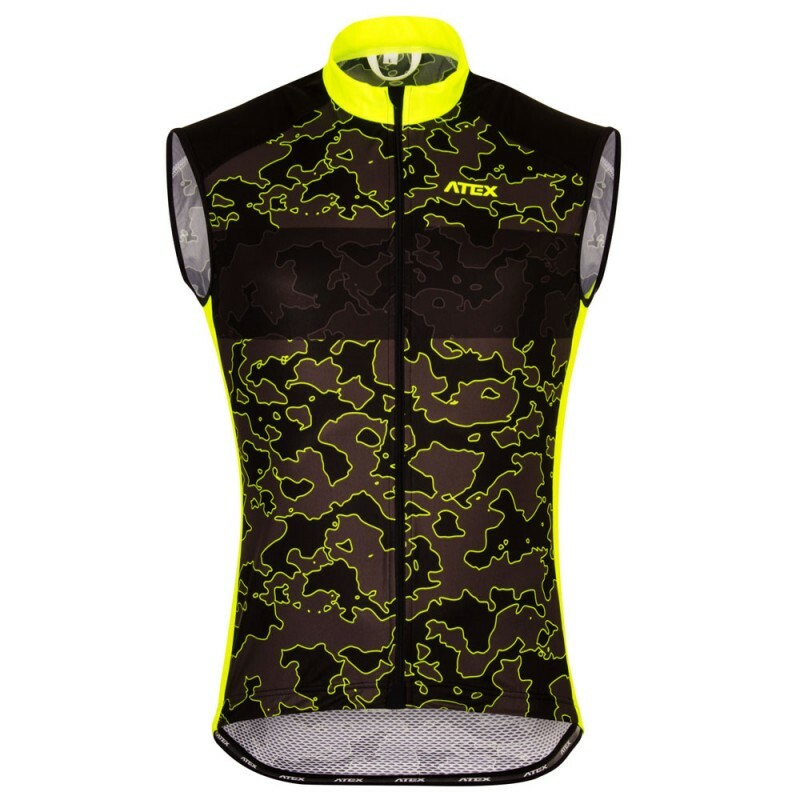 New cycling collection in CAMO design was developed in cooperation with top Czech cyclists. Most important features of this collection are new and leightweight highly functional materials, up-to-date technological elements and close-fitting design. All these are particularly important, especially on a jerseys, due to cyclist specific position on the bike that is aerodynamically challenging. 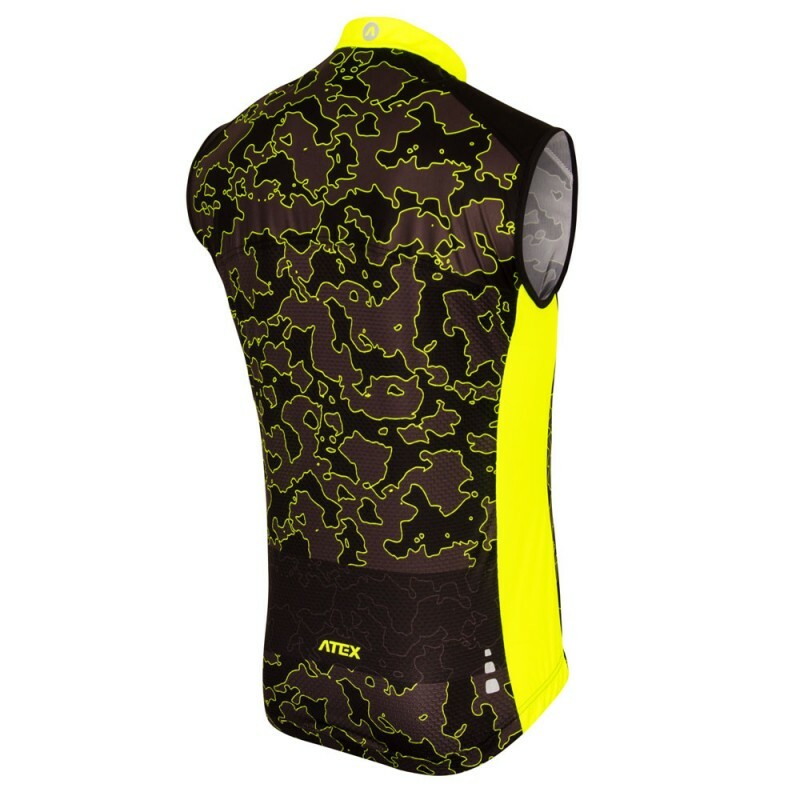 Lightweight cycling vest in a minimalist design without the standard back pocket. It is to reduce weight and to ease portability when packed-up in the back pocket of the jersey. Vest is semi-fitted and made of very thin membrane Windproof Soft mateial that is water and wind resistant. 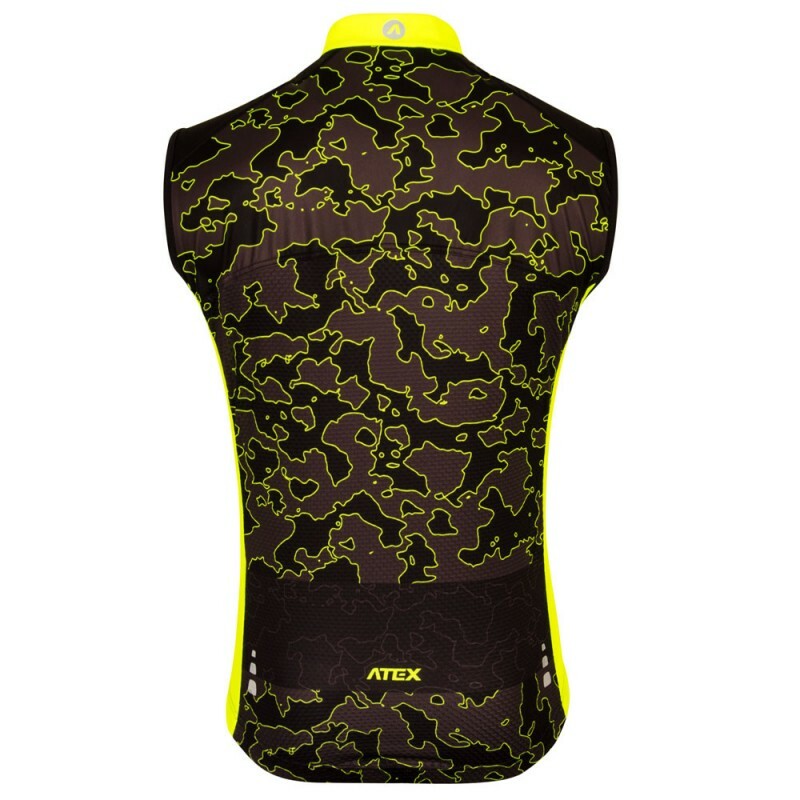 This material is applied in combination with mesh Bongo material at the back for better breathability. There is an undelaid zip-up in the front with a stop slider and caps at both ends, armholes are hemmed with soft and stretchy material. Bottom of the jacket is hemmed with anti-slip silicon elastic and you can find safety high-vision elements at the back. Made in the Czech Republic. Extended 3-year warranty. Extremely lightweight, three-layer membrane material with high resistance to water and wind while staying breathable. Material is stretchy, smooth, as for looks matt and thanks to special texture also lighter and thinner than other membrane materials on our products. 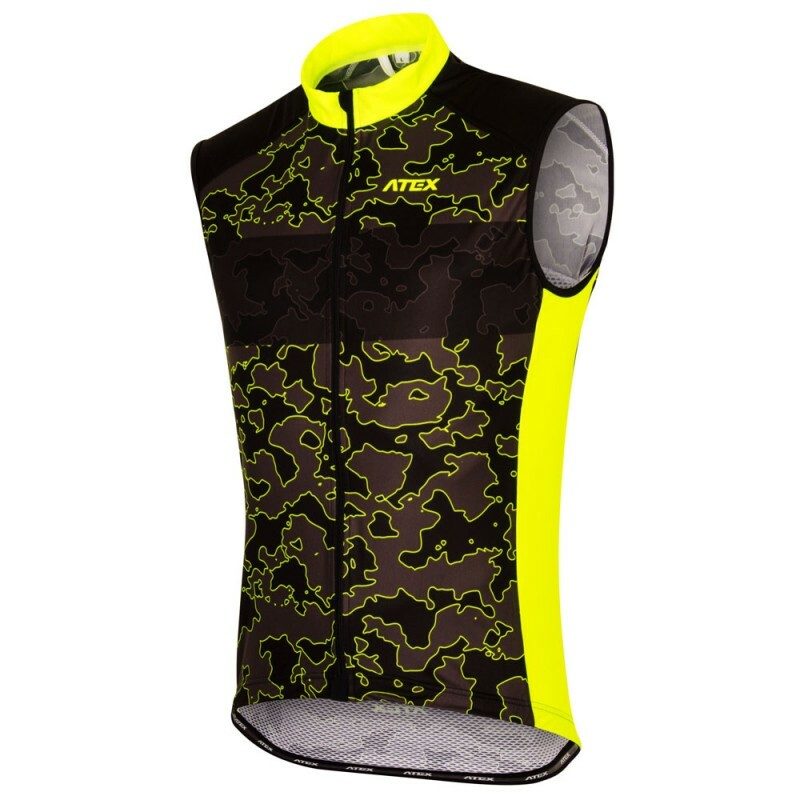 Smooth, quick-drying, lightweight and breathable material with specific structure. It is slightly stretchy.